We’d love your help. Let us know what’s wrong with this preview of Living Anarchism by Chris Ealham. 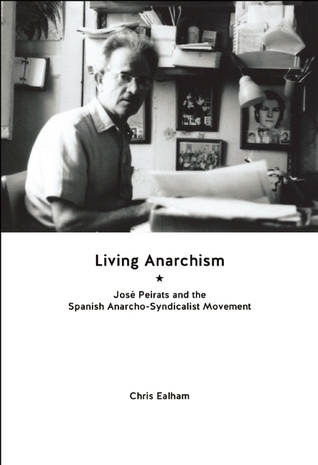 Brick maker by trade, revolutionary anarchist and historian by default; this is a study of the life of José Peirats (1908–1989) and the labor union that gave him life, the CNT. It is the biography of an individual but also of a collective agent—the working class Peirats was born into—and the affective ties of kinship, friendship, and community that cemented into a movement, the most powerful of its type in the world. To ask other readers questions about Living Anarchism, please sign up. Highly recommended. An account of a CNT militant, the CNT itself and the libertarian movement in Spain. A book that, on the one hand, allows the reader to appreciate the accomplishments of the Spanish anarchist movement in the face of unrelenting opposition and, on the other, its weaknesses at a moment when the political crucible was white hot with possibly. Historian Chris Ealham has shone the light on a vital figure in the struggle for revolutionary change in this sharp, concise work. Chris Ealham currently lives and works in Madrid, where he teaches History at Saint Louis University. Previously, he taught at the Universities of London, Lancaster, and Cardiff. He is a specialist in Spanish labor history and movements, especially those of anarchist and anarcho-syndicalist inspiration. His work, which has been translated into Castilian, Catalan and Italian, includes Anarchism and Chris Ealham currently lives and works in Madrid, where he teaches History at Saint Louis University. Previously, he taught at the Universities of London, Lancaster, and Cardiff. He is a specialist in Spanish labor history and movements, especially those of anarchist and anarcho-syndicalist inspiration. His work, which has been translated into Castilian, Catalan and Italian, includes Anarchism and the City: Revolution and Counter-Revolution in Barcelona, 1898-1937 (Oakland, CA: AK Press, 2010), and (co-edited with Mike Richards), The Splintering of Spain: Cultural History and the Spanish Civil War (Cambridge: Cambridge University Press, 2005). He also writes in the Spanish anarchist and daily press on topics ranging from soccer to urban planning.